Alpha- and beta-hydroxy acids (a.k.a. AHAs and BHAs) have never been more popular in skincare. And if my Instagram DMs are any indication, these chemical exfoliants are helping countless people to achieve better skin than they had before. But in certain circles, acids are actually considered harmful—or at least, something you shouldn&apos;t use very often—because of the notion that they thin (and age!) the skin. Can acid exfoliants thin out your skin? Some doctors and estheticians think so. There are two reasons why AHAs and BHAs are often thought to cause skin thinning. First is the notion that thinning the skin (no matter what your skin type) is acids&apos; inherent mechanism of action. 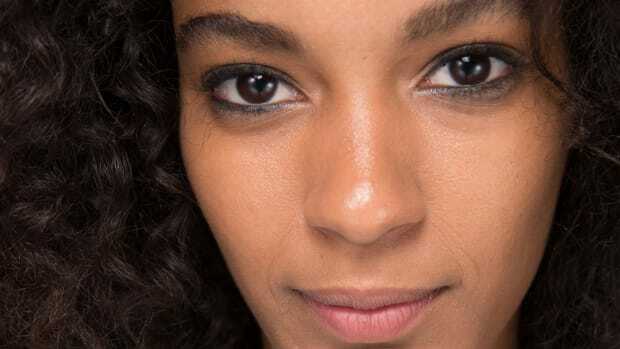 For example, Annemarie Gianni of Annemarie Skin Care states: "Salicylic acid may help with acne temporarily, but over the long term can dry and thin your skin." Many skin therapists also believe this is how acids work. One reader wrote to me: "I&apos;ve been told by two different estheticians that I should be exfoliating my face as little as once every three months... and that by exfoliating, I&apos;m thinning my dermis." The other school of thought is that acids thin the skin because our cells can only divide so many times before they die. Perhaps the most famous proponent of this point of view is Dr. Barbara Strum (I interviewed her here! ), a celebrity skin doctor and the founder of Dr. Barbara Sturm Skincare. 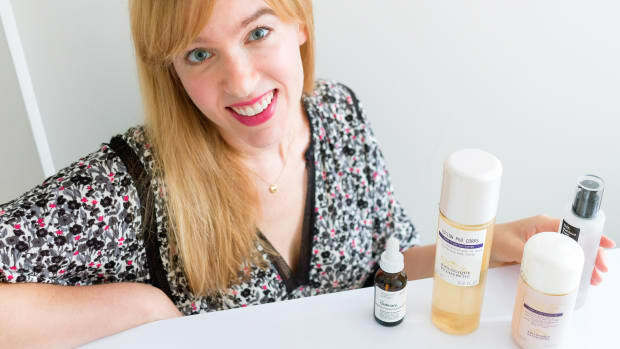 "The &apos;good&apos; acids like hyaluronic acid or citric acids support the skin with moisture, strong anti-oxidative effects and other valuable benefits," she told Refinery29. "The acids that damage the skin, however... accelerate the cell renewal and cause a long-term effect of the skin thinning out, as the cells cannot divide infinitely." This theory has also made the rounds amongst estheticians and on Reddit. One Redditor wrote: "I went to the beautician and... we ended up talking about my routine and my use of acids. She freaked.... Apparently you should only be using an AHA AT MOST ONCE EVERY TWO WEEKS. When you exfoliate with an AHA you&apos;re essentially speeding up the rate at which your cells divide.... But fibroblasts have a limit on how many times they can actually divide. So at first everything looks great... but later in life your skin gets very saggy or droopy and thin because your fibroblasts have hit their dividing limit and their division becomes very sluggish, and suddenly an important part of your skin isn&apos;t holding it together so well anymore." Do these statements have you worried now about the acids in your skincare routine? Before you ditch them—let&apos;s go over how acid exfoliants actually work on the skin! AHA-BHA treatments such as Lixirskin Night Switch BHA/AHA 10% exfoliate the skin surface as well as the pore lining. Alpha-hydroxy acids (AHAs) are a family of acids derived from sugarcane, milk or fruit, and include glycolic, lactic, citric, malic, mandelic and tartaric acids. Several researchers have hypothesized that AHAs work by overloading cells with calcium ions, which leads to cell death—and therefore a "forced" exfoliation. Beta-hydroxy acids (BHAs) are derived from willow tree bark, wintergreen leaves or sweet birch bark. There&apos;s just one BHA, salicylic acid, but derivatives such as betaine salicylate can have a similar effect. BHAs exfoliate by softening and dissolving the "glue" that holds our skin cells together. When these bonds are broken, dead skin cells are easily shed off, revealing new skin underneath. Both AHAs and BHAs exfoliate the skin surface, but BHAs have the added ability to penetrate into pores. There, they exfoliate the pore lining, which loosens clogs and allows oil to flow out more freely (making them an excellent acne treatment in addition to smoothing and brightening the skin). Do AHAs and BHAs Thin Your Skin? All acids, including Glossier Solution Exfoliating Skin Perfector, will thin the stratum corneum layer consisting of dead cells. But ONLY the uppermost layer of the epidermis, consisting of dead cells—known as the stratum corneum or corneal layer. This a good result, because it means the acids are doing their job of removing dead skin! As for the epidermis overall, and the dermis underneath it, acids have been shown to either produce no change or to even THICKEN them. At higher concentrations, AHAs and BHAs have been shown to thicken the epidermis and dermis. It all depends on the concentration. At the typical low amounts you&apos;d find in over-the-counter skincare products, AHAs and BHAs are unlikely to change epidermal thickness. For example, this paper reports that the use of 0.5 and two percent salicylic acid on human skin "causes thinning of the corneal layer without any change in the thickness of the epidermis." At higher doses, both AHAs and BHAs have been shown to thicken the epidermis. This paper reported that 50 percent glycolic acid peels produced "a thinning of the stratum corneum, an enhancement of the granular layer, and an epidermal thickening." This study found that 25 percent glycolic, lactic or citric acid (all AHAs) "caused an approximate 25 percent increase in skin thickness." As for BHAs, this study found that 30 percent salicylic acid was "associated with [a] thickened epidermal layer." What&apos;s more, acids have a thickening effect on the dermis, the layer of tissue below the epidermis where collagen and elastin fibers can be found. This paper reported that AHAs evoke dermal changes including increased collagen production and increased dermal thickness. And this study showed that salicylic acid produced a significant increase in collagen and elastin thickness. Acids such as Nip + Fab Glycolic Fix Night Pads Extreme will not cause skin to hit its "Hayflick limit." But what about the notion that acids thin our skin because our cells can&apos;t keep on dividing and regenerating forever? This theory of cell division is known as the "Hayflick limit," and was conceived by Dr. Leonard Hayflick, an anatomist, in the 1960s. He proposed that human cells only have the capacity to divide about 50 times before they deteriorate and die. By this logic, any type of exfoliating would be bad because we only have a set number of skin cells, and we&apos;d be depleting them faster than they&apos;d slough off naturally—eventually leaving us with thin, weak, aged-looking skin. In other words, we&apos;d be sacrificing our future skin health in order to look good for the moment! Fortunately, the Hayflick limit has been disproven. Hayflick&apos;s theory was based on just one type of cell, a lung fibroblast, in a culture dish, and his observation that they quickly deteriorated. But "other researchers, simply by changing a single factor, caused great increases in the longevity of the cultured cells," says Ray Peat, PhD. "Simply using a lower, more natural oxygen concentration, the cells were able to undergo 20 more divisions. Just by adding niacin, 30 more divisions; vitamin E, 70 more divisions. Detailed investigation of skin cell growth showed that cells in the lower layer of the skin divide at least 10,000 times in a normal lifetime, and similar processes occur in the lining of the intestine." In other words, acids or not—none of us are going to run out of skin cells. He lists more than 40 scientific references on this, FYI. So why does he think the Hayflick limit theory has persisted in the scientific community for so many decades? "Since then, facts that came out because of the Freedom of Information Act, cause me to believe that a financial motive guided [Hayflick&apos;s] thoughts about his cultured fibroblasts." Acids do not cause skin thinning, but may appear to do so if they are over-used. We&apos;ve established that exfoliating with acids does NOT cause skin thinning. However, your skin may APPEAR thinner, if you are overdoing it. When applied too often, at too high concentrations (which will vary by individual), acids can cause damage to the protective stratum corneum layer. Skin looks tight, raw and irritated, and it&apos;s much more vulnerable to environmental and bacterial assault. Below, find the gentle acid-based treatments I MOST recommend—and let me know what you think about acids and skin thinning! Were you worried that acids would thin out your skin? Will you be trying one now?